Prime Minister Sheikh Hasina on Wednesday inaugurated BNA Bangabandhu Complex, the first international standard training academy of Bangladesh Navy with all modern facilities, at the Bangladesh Naval Academy (BNA) in Chittagong, UNB reports. The ship-like complex, which has 16 buildings and other infrastructures for academic activities and training as well as for residential purposes, has been constructed on the bank of the Karnaphuli River. 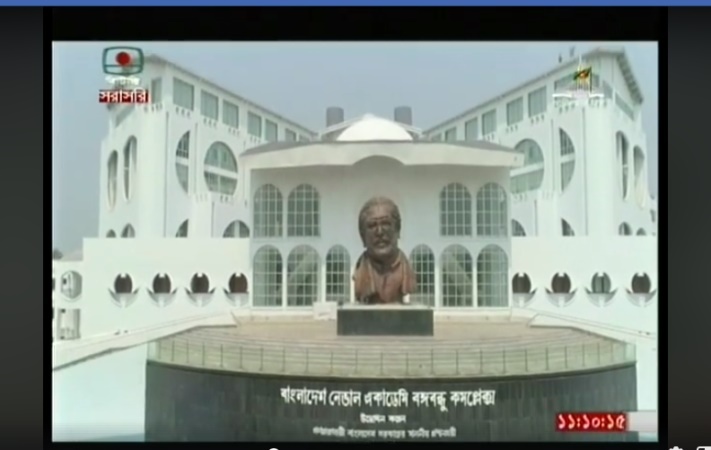 There is a 41-foot high bronze bust of Bangabandhu Sheikh Mujibur Rahman in the front, which is a unique architecture from an aesthetic point of view. Earlier, Chief of Naval Staff Admiral Mohammad Nizamuddin Ahmed received the Prime Minister on her arrival at the Naval Academy.